Danny Gil had a choice coming out of high school in 1987. The White Sox chose him in the ninth round of the draft. But he also had a full scholarship to USC, according to The Los Angeles Times. He chose the scholarship to USC. "I was very impressed with the way they were interested in me as a player and a student," Gil told The Times of his decision. "I think if I can get out there and just be myself, I'll have a good chance of getting playing time right away." Gil went on to get playing time over three years at USC. He then went pro. His pro career, though, lasted just two seasons. He never saw AA. Gil's career began in 1990, taken by the Angels in the eighth round of the University of Southern California. He went to USC out of Poly High School in Sun Valley, Ca. At Poly High, his White Sox and USC opportunities came out of a high school career where he met and surpassed a list of goals, including hitting .400 and making all-city, according to The Times. "Sometimes I can't believe it," Gil told The Times. "I mean, I played as a sophomore and I had a good year as a junior, but now I've got people calling the house and teachers I don't even know coming up to me and congratulating me at school. It's really something." 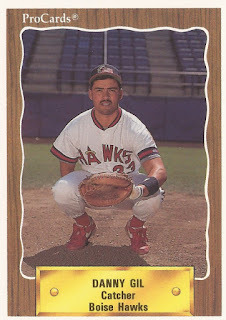 At USC, Gil doubled and scored the winning run in an April 1990 game. Gil started with the Angels at short-season Boise. He hit .309 in 51 games. He knocked a two-run double in a July game. He went 2 for 4 in another game that month. 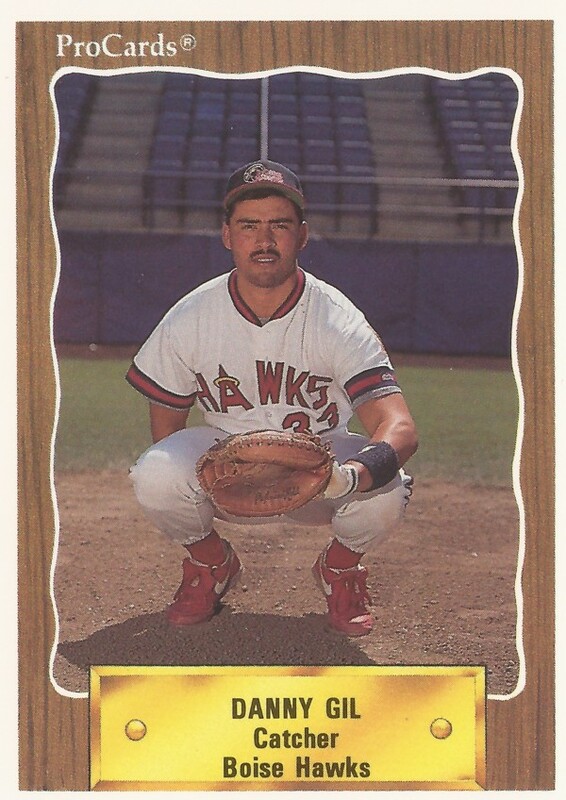 He played 1991 between single-A Quad City and high-A Palm Springs. Over 62 total games, he hit just .198, ending his brief career. By 1998, Gil was back in California working in data processing.